Vector-borne disease systems are inherently complex and community-driven due to the numerous species and trophic levels involved in their maintenance and transmission. Research in the Swei Lab employs interdisciplinary approaches to understand the factors that determine the distribution and prevalence of Lyme disease and other tick-borne diseases. Ticks vector a large proportion of zoonotic diseases in the United States. Research in the Swei lab focuses on several different tick-borne disease systems such as Lyme disease, babesiosis, and Borrelia miyamotoi. Work on Lyme disease includes ecological studies that examine the role of disturbance, habitat fragmentation, and biodiversity on Lyme disease ecology. In addition, current research projects focus on pathogen genomics and pathogenesis and the influence of the vector microbiome on pathogen transmission and vector competency. Habitat fragmentation changes community structure and diversity in many biological systems. These same changes can also affect the maintenance and transmission dynamics of zoonotic diseases including vector-borne ones such as Lyme disease. Ongoing research in the Swei lab is investigating the impact of habitat fragmentation on vertebrate, invertebrate, and microbial species communities. MacDonald, A., Hyon, D.W., Brewington, J.B., O'Connor, K., Swei, A., Briggs, C. 2017. Lyme disease risk in southern California: abiotic and environmental drivers of Ixodes pacificus (Acari: Ixodidae) density and infection prevalence with Borrelia burgdorferi. Parasites and Vectors.. 10: 7. ​​MacDonald, A.J., Hyon, D.W., McDaniels, A., O'Connor, K.E., Swei, A., Briggs, C.J. 2018. Risk of vector tick exposure initially increases then declines through time in response to wildfire in California. Ecosphere 9(5):e02227. There is considerable genetic diversity with Borrelia burgdorferi that is circulating in the tick population. Bacterial genotypic variability of the outer surface protein C (ospC) bacteria is believed to play a role in host immune evasion. We explore the spatial and temporal variation of this diversity in questing ticks and their vertebrate hosts. One key question we are addressing is how host community diversity structures bacterial genotypic diversity and, in turn, how pathogen diversity impacts human disease risk. Ticks are the most important disease vector in the Northern hemisphere and transmit Lyme disease in addition to other pathogens. Ongoing research in the lab includes investigating the role of the tick microbiome in pathogen transmission and vector-competency. 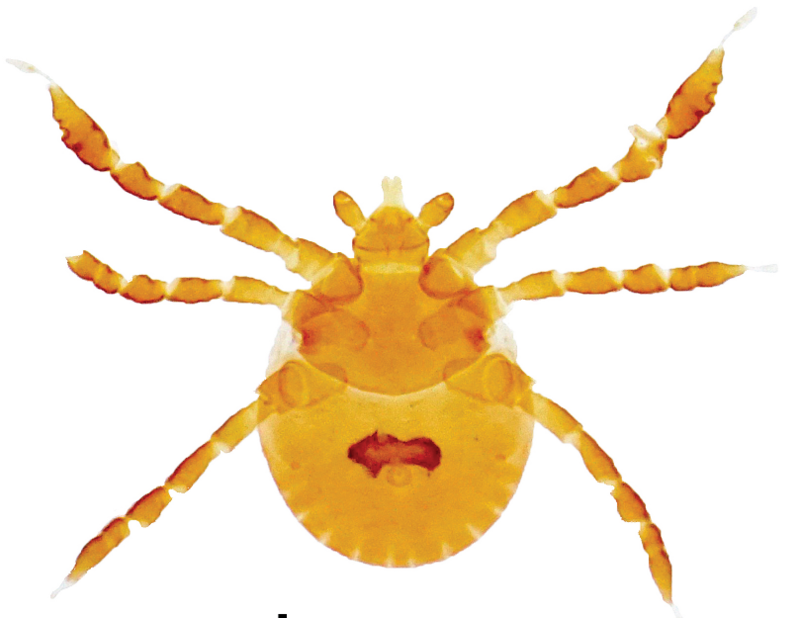 With the use of next generation deep sequencing, we have been exploring the microbial community of several species of ticks such as the Lyme disease vector, Ixodes pacificus, as well as other species: Dermacentor occidentalis, Ixodes angustus, Haemaphysalis leporispalustris. Investigations of the tick microbiome has revealed surprising patterns governing the development of the tick microbiome and potential impacts on pathogen transmission. One key finding is that blood meal host identity plays a significant role in structuring the microbiome Ixodes pacificus. These impacts on microbiome composition and structure appears to influence the vector competency of I. pacificus for B. burgdorferi. Couper, L.I. and Swei, A. 2018. 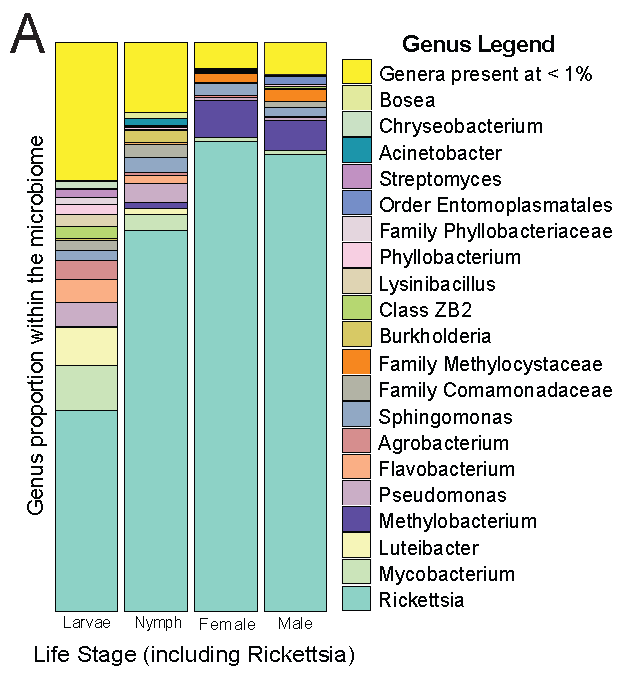 Tick microbiome characterization by next-generation 16S rRNA amplicon sequencing. Journal of Visualized Experiments 138: e58239. DOI: 10.3791/58239. ​Bouquet, J., Melgar, M., Swei, A., Delwart, E., Lane, R.S. and Chiu, C.Y. 2017. Metagenomics of the Pacific Coast tick, Dermacentor occidentalis, in northwestern California, 2011-2014. Nature Scientific Reports. 7: 12234. ​In addition to the Lyme disease pathogen, ticks transmit many other pathogens. Detailed epidemiological studies of tick vectors and their animal reservoirs are essential to better characterize and prevent these diseases, many of which are emerging. One emerging disease that we are working to better characterize is babesiosis. The vector and reservoir hosts of this potentially fatal and blood-transfusion transmitted disease are unknown. In collaboration with the California Department of Public Health and the California Department of Fish and Wildlife, we recently published epidemiological studies to identify the vector and reservoir of the etiological cause of babesiosis in the western United States, Babesia duncani. ​Swei A, Bowie VC, Bowie RCK. 2015. Comparative genetic diversity of Lyme disease bacteria in Northern Californian ticks and their vertebrate hosts. Ticks and Tick-borne Diseases. 6: 414-23. Sudden Oak Death (SOD) is an invasive forest pathogen that threatens millions of trees in Central to Northern California. We use SOD as a natural experiment to explore the effect that a major habitat disturbance, and subsequent trophic cascade, has vertebrates, ticks, and the Lyme disease bacterium, Borrelia burgdorferi, they naturally maintain. In California, the most important host for juvenile western black-legged ticks (Ixodes pacificus) is the western fence lizard (Sceloporus occidentalis). We conducted a spatially and temporally replicated field experiment that manipulated the abundance of S. occidentalis to determine the impact on tick distribution on their hosts and the change in tick infection prevalence. 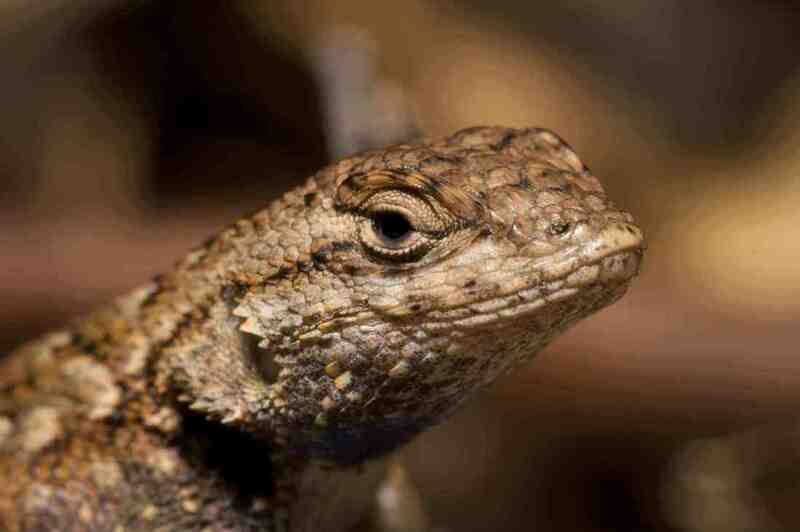 Although western fence lizards have been shown to cleanse infected and feeding Ixodes pacificus ticks of their Borrelia burgdorferi infections, we found that the most important ecological role of lizards in Lyme disease ecology is their role as tick host. When lizard abundance were lowered, some ticks found other hosts, but most did not. The following year, this led to a reduction in tick infection prevalence, thus demonstrating that because lizards are host to most juvenile ticks, they actually increase the prevalence of B. burgdorferi in the juvenile tick population. Swei, A., R.S. Ostfeld, R.S. Lane, C.J. Briggs. 2012. 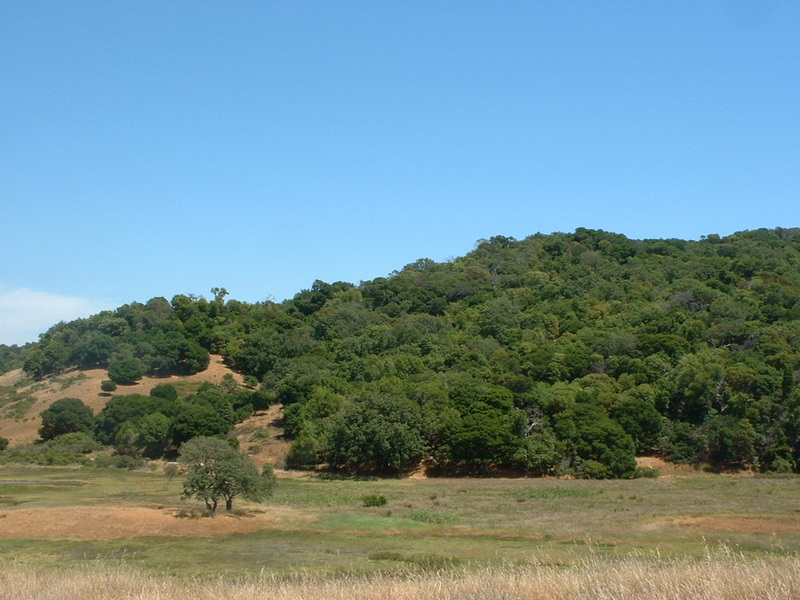 Impacts of an introduced forest pathogen on risk of Lyme disease in California. Vector Borne Zoonotic Diseases, 12(8): 623-632. Swei, A., R. Meentemeyer, C.J. Briggs. 2011. Influence of abiotic and environmental factors on the density and infection prevalence of Ixodes pacificus (Acari:Ixodidae) with Borrelia burgdorferi. Journal of Medical Entomology, 48 (1): 20-28. Swei, A., Ostfeld, R.S., Lane, R.S., Briggs, C.J. 2011. Effects of an invasive forest pathogen on abundance of vertebrate hosts in a California Lyme disease focus. Oecologia, 166 (1): 91-100. Killilea, M. E., Swei, A., Lane, R.S., Briggs, C.J., and Ostfeld, R.S. 2008. Spatial dynamics of Lyme disease: A review. EcoHealth, 5(2): 167-195.